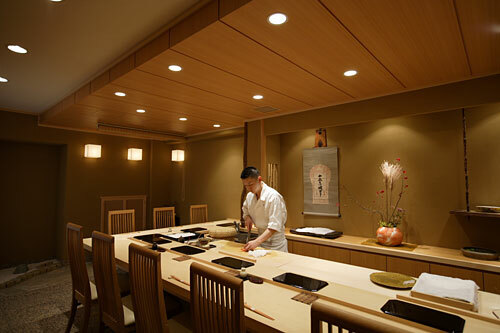 Chef Harutaka developed his skills with 12 years at Sukiyabashi Jiro. This sushi restaurant is popular with top chefs in the city. Sit at the counter and watch the young, talented and soft-spoken chef as he handles the seasonal seafood with care and deft. Part of the delight in dining here is taking in the beautiful vessels he uses to hold the seafood. No detail is overlooked at this restaurant that comes highly recommended by top chefs in the city. * Harutaka moved to a new location in 2016. Address listed below.